The Philippine Council of Associations and Association Executives (PCAAE) received a visit on May 31, 2017 at its secretariat office from officers of the Tokyo-based Japan National Tourism Organization (JNTO). 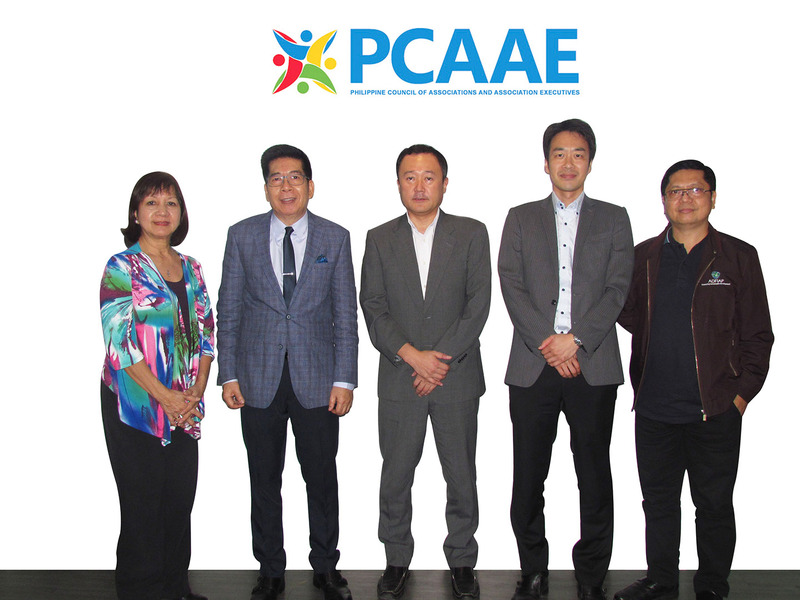 Messrs. Daisuke Tonai and Daiki Nobekawa, JNTO Executive Director and Director, respectively, met with PCAAE CEO & Founder, Octavio “Bobby” Peralta, PCAAE Secretary Enrique “Boyet” Florencio and Board Member Ma. Sandra “Sandy” Lim. Messrs. Tonai and Nobekawa are in the country in preparation for the setting up of a JNTO office in Makati City, Metro Manila. PCAAE and JNTO explored possible areas of cooperation, particularly on tourism promotion and visibility activities as well as how Philippine associations, especially those with international links, may consider organizing meetings, conferences and other events in Japan. The JNTO and the Japanese government have been actively promoting the country as a destination for association meetings and conferences, among other tourism activities. They target about 40 million overseas visitors for the Tokyo Olympics in 2020. The Philippines is one of its growing tourism markets so the JNTO has decided to set up an office here. JNTO https://www.jnto.go.jp/eng/ is Japan’s tourism-promotion body that aims to encourage foreign tourists to visit Japan. Its broad range of activities include operating tourist information centers, administering guide-interpreter examinations, publishing tourism statistics and market reports, and providing support for international conventions and incentive events.